Sistine Chapel is where the Papal Conclave is being held. 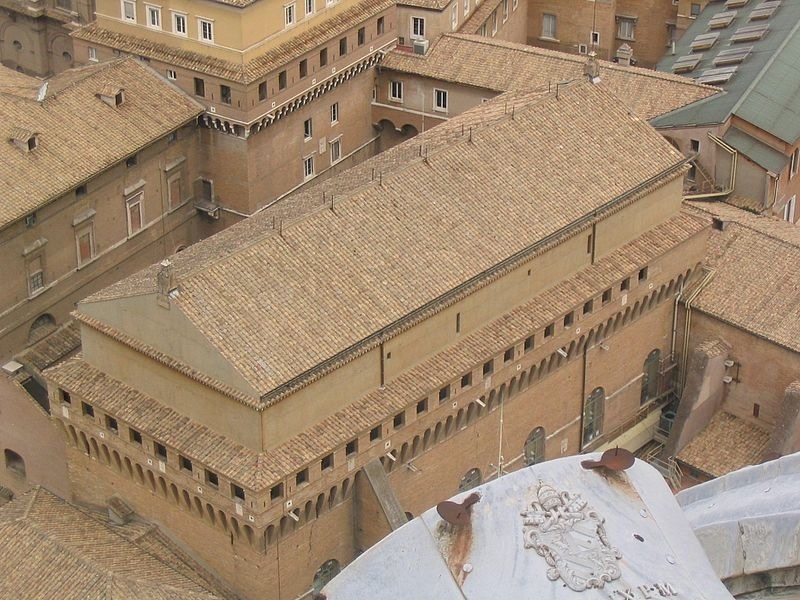 The Vatican Information Service reports that at 7:42 p.m. Rome time (1:42 p.m. Central), black smoke had arisen from the chimney installed on the roof of the Sistine Chapel signaling that the cardinal electors have not elected a new pope in the first ballot of the conclave. The conclave is the cloistered process where cardinals of the Roman Catholic Church pray, discern and vote in the election of the new pope. The Chair of Peter has been vacant since February 28, when Pope Benedict XVI’s retirement became official. One-hundred-fifteen Roman Catholic cardinals did not come to consensus on a new pope during the first day of the papal conclave today. The smoke was created by the burning of ballot papers used by the cardinals in their vote. Chemical cartridges were added to make certain the smoke did not appear to be white, which is the sign that a decision has been reached. The conclave will reconvene on Wednesday morning. Tornado Survivors Give Thanks to the Good Lord and Good Luck. Which Is It?